I am being lazy and most of day was spent cuddling with Finn and knitting. This little blanket is taking a long time but I didn’t knit much in January. 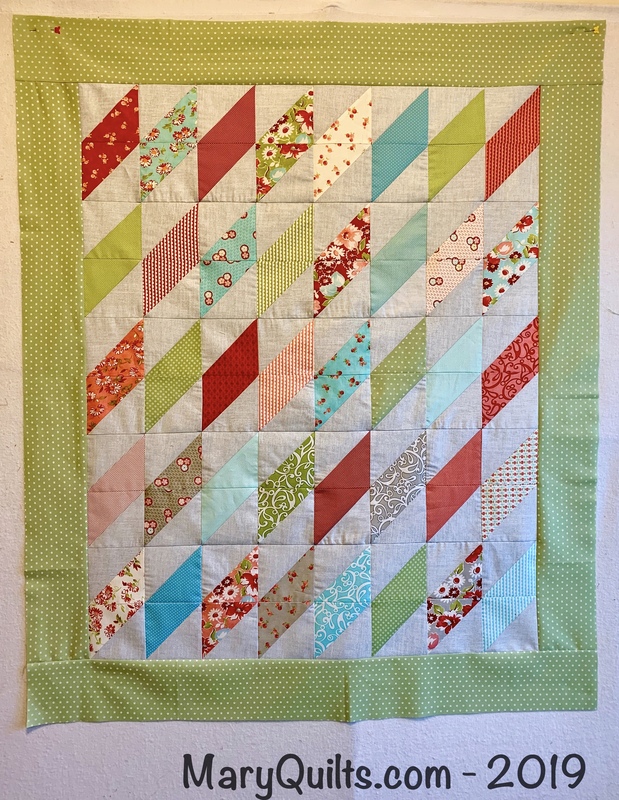 This afternoon I felt the need to get out of the chair for a little while so I finished assembling the little Charm Square diamonds and added the border so this top is done and ready for the quilting pile. This one is part of our 2019 Precut Party and I used one Charm pack plus some fabric from stash. Assembling a quilt top, knitting on a blanket and I am sure lots more you didn’t mention. Hope you are enjoying your lazy day.